Results so far is murky at best. Leong Sze Hian. Tilting the playing field in favour of lower income group? 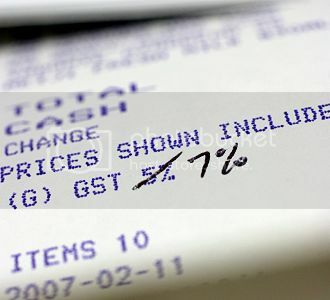 The GST hike was eventually implemented in 2007. It’s been three years since PM Lee’s bombshell and Singapore has gone through what is arguably its worse recession. Thus, it may be an opportune time to ask how exactly have the poor been helped with the increase in the GST. Can we have an accounting of how exactly the estimated $1.9 billion extra from the two per cent GST increase has been used to help the poor? How much more exactly has the increase in GST raised? Are the poor better off after getting the extra help from the GST increase? Since we don’t have detailed answers to the questions, we can only speculate, using statistical indicators available in the public sphere. The core scheme to help the poor, is ComCare. In a Channel Newsasia report in August 2009, the Comcare fund, which now stands at $800 million, will eventually be topped up to $1 billion. Comcare spending this year is projected to increase by 37 per cent from 2008, to $77 million. As of end-June 2009, some 27,000 were receiving help from nationwide Comcare schemes. Comcare has helped over 85,600 cases since its inception in 2005. Does the above mean that there are only about 27,000 poor families receiving financial assistance, and that 58,600 (85,600 minus 27,000) cases that were helped no longer need assistance? According to government figures, there are 105,965 and 116,092 households with monthly income below $1,000 and $1,000 – $1,999 respectively (Department of Statistics’ Household Expenditure Survey Report 2009). The Ministry of Manpower said recently that the seasonally adjusted figure for unemployed residents was 100,300 in September. The question is: In light of the above data, how is it possible that there are only 27,000 families that need financial assistance in the midst of Singapore’s worse recession? The number of people on the Public Assistance scheme has remained at about 3,000. About 50 per cent of new applications was rejected last year. The monthly allowance for those on the PA scheme has been increased by just $30, from $330 to $360. Post-GST increase, how much of the Progress Package represents an increase to help the poor, that is on top of the amounts given in the past before the GST increase? We should also note that the GST Offset Package may only help the poor to offset the GST increase, and thus may not represent more help for the poor arising from the reason given for the GST increase. According to the article, “More Medifund assistance” (ST, Feb 9, 2009), Medifund assistance will be raised by only 10 per cent to $80 million, and Medifund and Eldercare Fund will be topped up by $100 million each. It should be pointed out that topping up the Comcare, Medifund, Eldercare Fund, etc, is not actually money being spent. The budget for these are instead set aside as endowments. That is, these funds will invest the monies and may only use the interest from these funds to help the needy. The effective measure of help for the poor should be the actual sums spent every year, relative to the extra sum collected from the GST increase. The Ministry of Education’s (MOE) budget for the MOE Financial Assistance Scheme (MOE FAS) will increase by an estimated $7.3 million, from $10.7 million in 2008 to $18 million in 2009 (Source : MOE press release, February 10, 2009). The Workfare Income Supplement (WIS) for Older Workers was increased, and will cost the Government an additional $83 million a year bringing the total WIS budget to $432 million. Since the Workfare Bonus scheme started in 2006, before the GST increase, the question that needs to be asked is how much of the GST increase has gone to the increase in workfare, on top of the sum before the GST increase? In 2008, after the GST was increased, the government saw a budget surplus of $6.4 billion. It thus begs the question of whether there was a need to increase GST in the first place. – How many poor people are there? – How many poor people will be helped? – What is the definition of being poor? – Will more poor people receive help? – How much more help will the poor get? – How exactly will the poor be helped? – How much more will the increase in GST collect? In so doing, it may facilitate all stakeholders in their analysis and review of policies, to ascertain the effectiveness of the basic premise of raising the GST “to help the poor”, as PM Lee said. *Additional contribution by Andrew Loh.